The setting sun illuminates Cathedral Rock in early October as sinister storm clouds provide a dramatic foil. 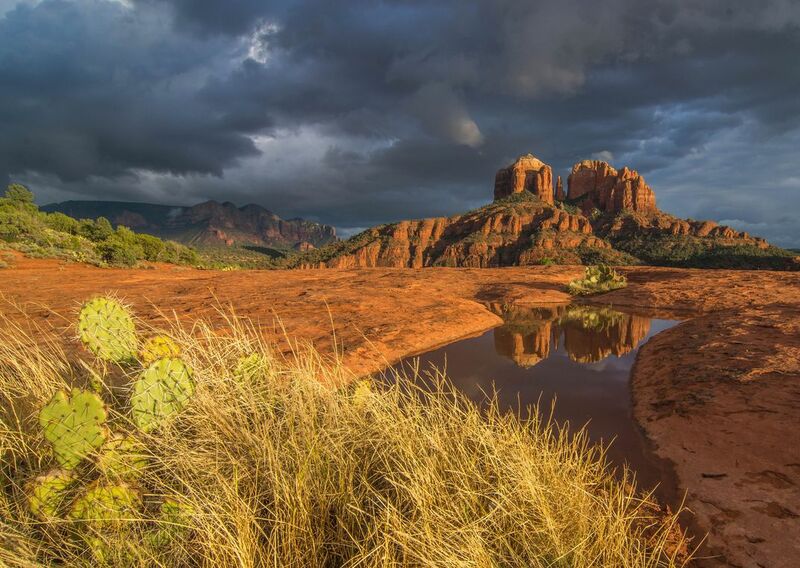 Recent heavy rainfall created a shallow pool of water to reflect the Schnebly Hill sandstone formation. Date Uploaded: Oct. 30, 2018, 6:50 p.m.